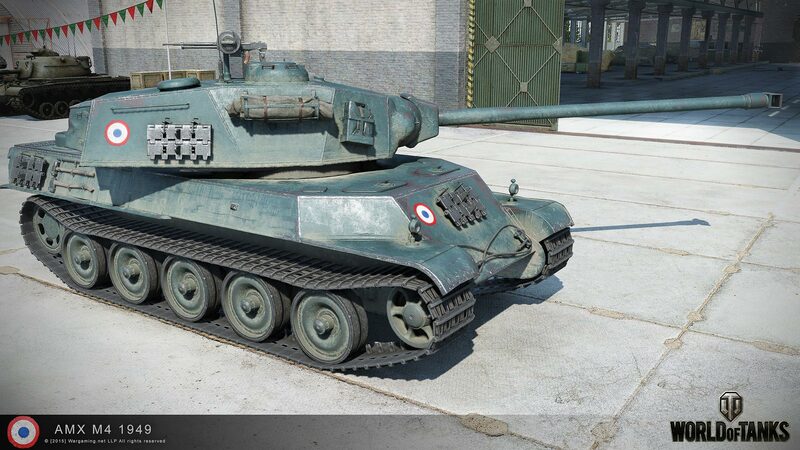 AMX M4 1949 Coming Soon? 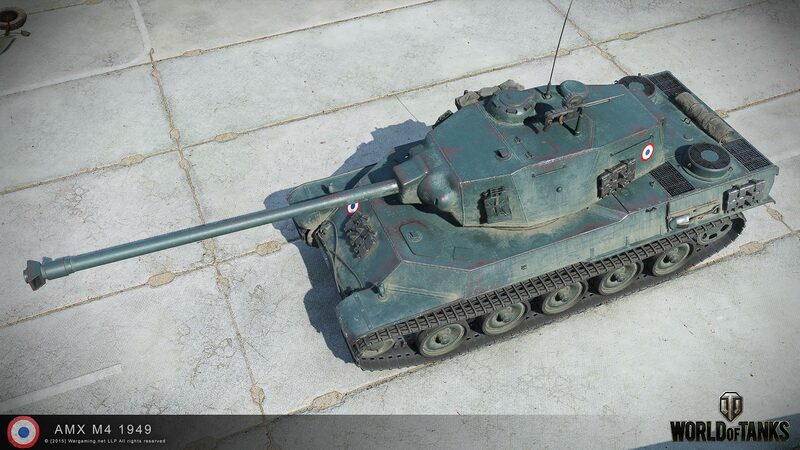 2 Comments on AMX M4 1949 Coming Soon? World of Tanks will turn 6 years old, on the Russian Server. 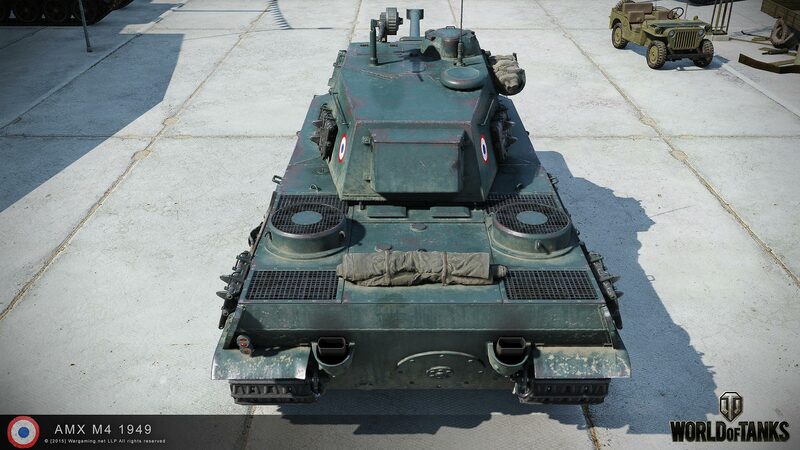 Some sources say that a new premium tank will be available soon to buy on the store. 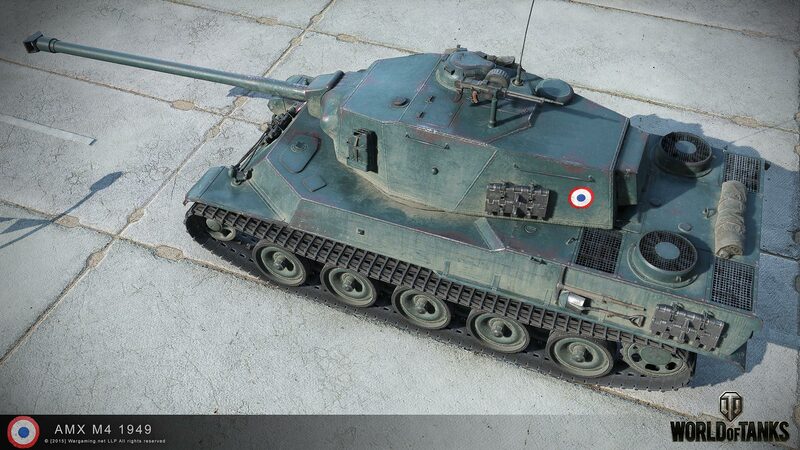 Same sources say it will be the AMX M4 1949, the French Tier VIII Heavy Tank, other sources say it will be the Rheinmetall Skorpion G. I don’t believe it will be the Skorpion G, because this tank will be available to buy in the NA Server from the 18th of August. 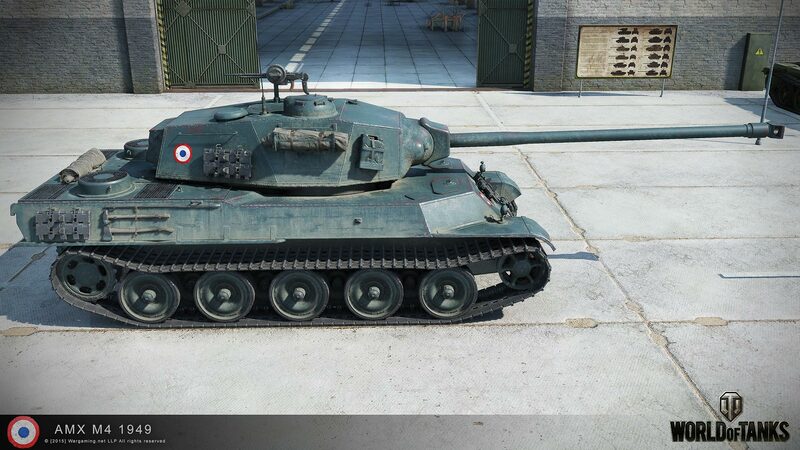 If it confirms that the AMX M4 1949, this is actually quite exciting. I’ve tested this tank in Tankfest 2016 and it has an outstanding performance. So good, I actually asked if when I could have one in my account, and a WG employee said “Maybe soon, who knows?” giving me a smile at the end. Maybe that soon will be really soon. For now these rumours are only for the Russian Server, no confirmation for other servers, but I don’t believe they won’t be selling this tank on the other servers, it wouldn’t make any sense. For now, here’s some pictures, armour and stats. Enjoy. 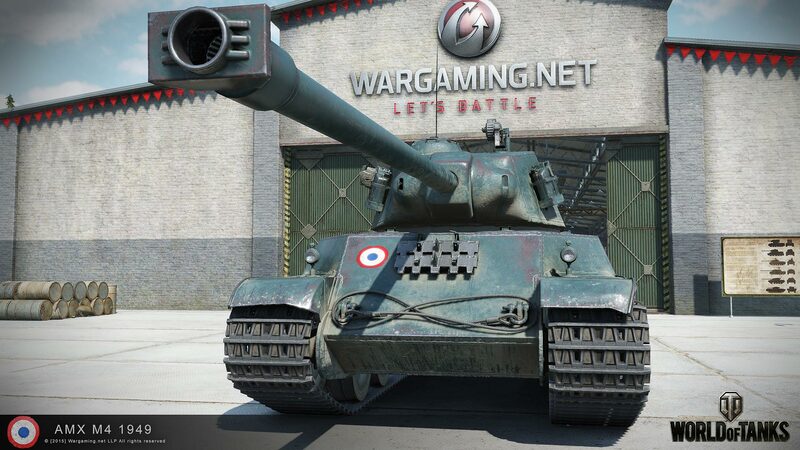 It could be exciting if WG does’nt overcharge and turn it into a moneygrab. Looks like a good tank. I’d be interested in this tank if the side armor wasn’t so terrible. Only 40mm which means you’ll get overmatched by 122mm guns, which there will be a lot of at tier VIII. Give a Soviet or Chinese heavy, including the tier VII ISs, even a little bit of your side armor and they pen you for 390 damage.